Today I wanted to show you my out of control pre-order list! I’ve been talking about pre-orders quite a lot on my blog recently… I think I’ve just re-discovered my love for them! So apparently, I’ve been on a bit of a pre-order rampage recently. When I looked in my “open orders” section on Amazon I was like “whhoooaa… that’s a lot of books!” and I was going to pre-order even more, but I think I’ll hold off for a while now. EDIT: I did have another 3 books on this list when I started the post, but when I went back onto Amazon, all the book covers had changed to ugly, cheapy looking things and so I cancelled the orders. I hate book cover changes from US to UK… it’s spurring me on to make another UK vs US book covers post! Upon the discovery of a small chapel deep in the Bellhaven woods, healing seems to fall upon the townspeople, bringing peace after several years of mourning. But as they visit the “healing floor” more frequently, the people begin to turn on one another, and the unusually tolerant town becomes anything but. The cracks between the natural and supernatural begin to widen, and tensions rise. Before the town crumbles, Ellsworth must pull himself from the brink of suicide, overcome his demons, and face the truth of who he was born to be by leading the town into the woods to face the evil threatening Bellhaven. Why have I pre-ordered it? I have been looking forward to this novel for a really long time. I first saw it on Netgalley and I actually got approved for it, but (as I say a lot recently) I’m really struggling to read on my Kindle at the moment, so I thought I would pre-order it instead. This is “Christian” fiction, so that makes me a little worried that it could be “preachy”, which I’m totally not down for, but we’ll see. I. Am. So. Excited. For. This! I love how this sounds like a modern-day Agatha Christie classic murder mystery! This was published on the 8th but it’s not being shipped to me for a few days. I’m really looking forward to receiving it! Synopsis: Seven-year-old Hanna is a sweet but silent angel in the adoring eyes of her daddy. He’s the only person who understands her and Hanna loves him with all her heart. But with Mummy, things are different. Suzette loves her daughter, but after years of difficulties with babysitters and teachers, and strained homeschooling, her precarious health, and sanity are weakening day by day. Then Hanna speaks for the first time, alone, to Suzette. But what she says is chilling. Suzette wants to write it off as a scary joke, but she’s becoming seriously frightened. Could she be in danger from her own child? And can she make her husband – who seems blind to their toxic family dynamics – believe her? I AM SO ANNOYED. I ordered this as ‘Baby Teeth’ and now my order has changed to ‘Bad Apple’ and has an AWFUL front cover. I’ve now cancelled this pre-order and ordered the book from BD, because they still have the cover I want… it’s more bloody expensive but if it’s the right cover, it’s worth the extra £4. Anyway, the actual book sounds amazing! I love creepy child book! This novel is being compared to Good Me, Bad Me by Ali Land, and I loved that novel, so hopefully, this is just as good! So, those are the new books on my pre-orders list! There were a few more, but as I said… Amazon ruined that. No doubt I’ll pre-order more as the year goes on! I love pre-ordering books. Have you read any of these / want to read any of these books? If you’ve read any let me know what you think of them! *Links to Amazon are affiliate links! The Seven Deaths of Evelyn Hardcastle has been on my radar but you describing it as a modern day Agatha Christie has really sold me on it. I hope we both enjoy it! These are all on my NetGalley list! 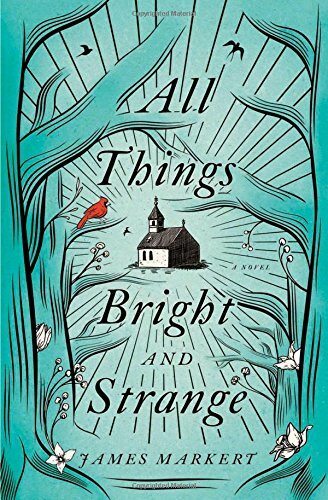 I just finished All Things Bright and Strange and it’s a great book. I think I’ll start Baby Teeth now after reading this. Great list! The Seven Deaths of Evelyn Hardcastle sounds amazing! The Seven Deaths should be arriving on my doorstep today and I can’t wait! I cleared my schedule for it especially. It is! I didn’t know either! And I keep getting distracted by the Winter Olympics so this could take a while! 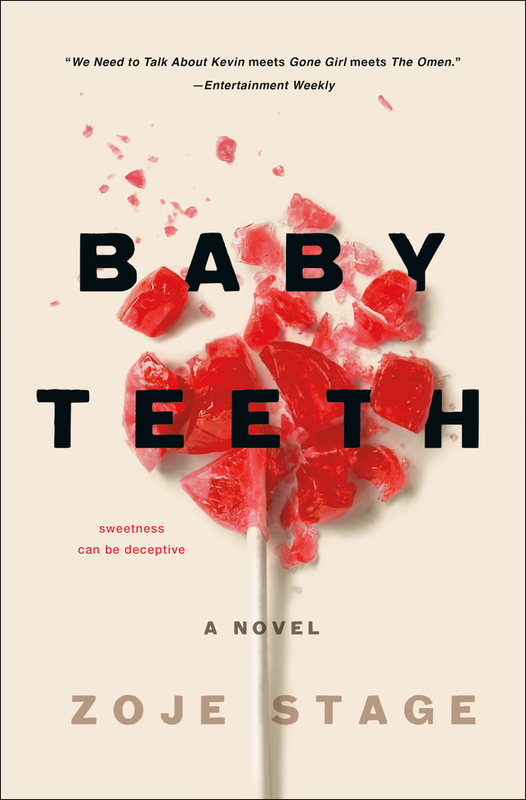 I agree, the cover of Baby Teeth (and title!) is way better than Bad Apple ! I also really want Seven Deaths!! I have had my eye on The Seven Deaths of Evelyn Hardcastle for a little while now and I think you may have just sold it to me. I also had my eye on Baby Teeth a while back but it had slipped my mind. However, now that you have said it has been compared to Good Me, Bad Me by Ali Land, I am heading to Amazon! I do LOVE the cover of Baby Teeth, but haven’t seen the bad apple cover! I know that The Perfect Nanny cover was the same, but had different titles. I wonder why they do that?? The Seven Deaths looks great, but I’ve heard you need to pay attention while reading (which I plan to do)! I hope you review it! I just pre-ordered The Thinnest Air by Minka Kent! It doesn’t come out till July though. Happy reading Zuky! Yay, looking forward to that review! 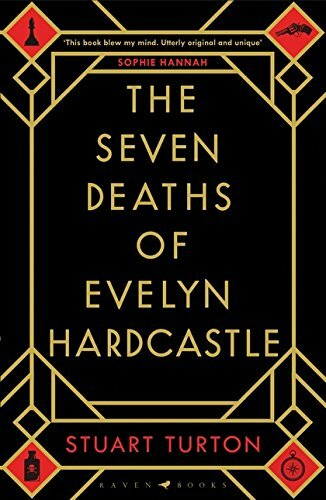 The Seven Deaths of Evelyn Hardcastle sounds SO good! Holy crap… I’m adding that to my TBR asap! All of these look great- and I’ve heard such amazing things about the seven deaths and baby teeth!